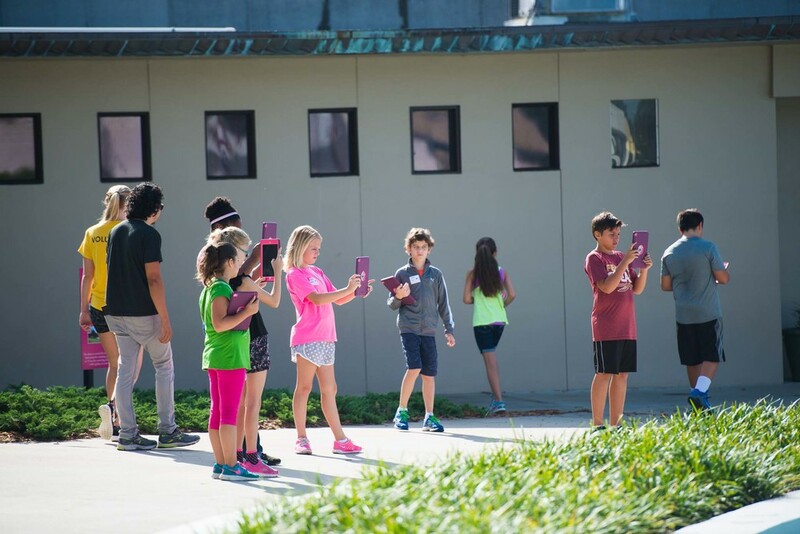 The summer camp at the Polk Museum of Art offers students ages 7-13 a fun, creative, and open atmosphere to develop a love and a appreciation for the arts. Available to students in Lakeland, Bartow, Plant City, and more. Two weeks of all-day fun for $285/$345! Based upon the Polk Museum of Art’s summer exhibition, Inside the Masters’ Studios: Richard Haas Dioramas, campers will go back in time by peering into the very rooms in which some of the greatest works of art of all time were created. Glimpses into the re-imagined studios of some of the world’s most famous artists such as Vermeer, Corot, Picasso, and Pollock will inspire campers to produce their own artwork. Give your child a FUN, CREATIVE and OPEN atmosphere to develop their love and appreciation for the arts today! Max capacity for classes is 15 or 20 students. All classes are taught by Certified Art Teachers and/or Art Professionals who undergo a background check as required in the Jessica Lunsford Act. Live closer to Winter Haven? We have a camp there too! All summer camp classes explore artistic interests through creativity, medium, technique, interpretation and reflection. Crafts - Dabble in the decorative arts, including: pottery, metal work, weaving, paper, and more. Digital Painting - Learn the skills and techniques needed to paint digitally using an iPad (iPad provided by the Museum). Drawing - Explore one of the major forms of creative expression using a variety of drawing mediums: pencil, colored pencil, pastel, charcoal, etc. Illustration - Learn to design images intended for integration in media such as posters, flyers, magazines, books, comics, etc. Mixed Media - Create art where more than one medium is being used, combining traditional and non-traditional media. Painting - Explore one of the major forms of creative expression through a variety of paint mediums; tempera, watercolor, acrylic, etc. Performance - Work as a team to put on a play, to dress the part, and perform in front of family and friends. Printmaking - Explore the processes of making artwork by printing. Use of a variety of printing techniques including relief printing, mono-printing, stenciling, screen printing, and more. Sculpture - Learn to create three-dimensional artwork using clay, papier-mâché, found objects, plaster, and other materials. Street Art - Explore the history, meaning, mediums, and processes used to create artwork outside traditional art venues: Painting, stenciling, poster art, sticker art, street installation, etc. Choose a session(s). Choose one class per time slot for the session your child wants to attend camp. Each class is two hours long and runs the entire two-week session (Monday to Friday). A full day (9am to 4pm) requires choosing one class for each time slot during the desired session, three classes total. Students bring lunch. Snack for snack time is included. NOTE: The Museum does not allow registration for half of a session. All classes are based on a two-week curriculum. Class projects span the duration of the two-week time period. $100 per student/per session - Fee is in addition to full day tuition fee (3 classes). Drop off 8 to 9am and pick up 4 to 5pm. No partial payments. Any registration submitted after a session deadline incur an additional $35 fee. Refunds will be made in full up to seven days prior to the class starting date. No refund will be given after the seven-day period. Basic materials (including use of iPads) are provided unless otherwise noted. A limited number of need-based scholarships for Summer Art Camp are available to those with a love for the arts. Complete the application form below. Application deadline: May 5. Call 863-688-5423 or email EChastain@PolkMuseumofArt.org.